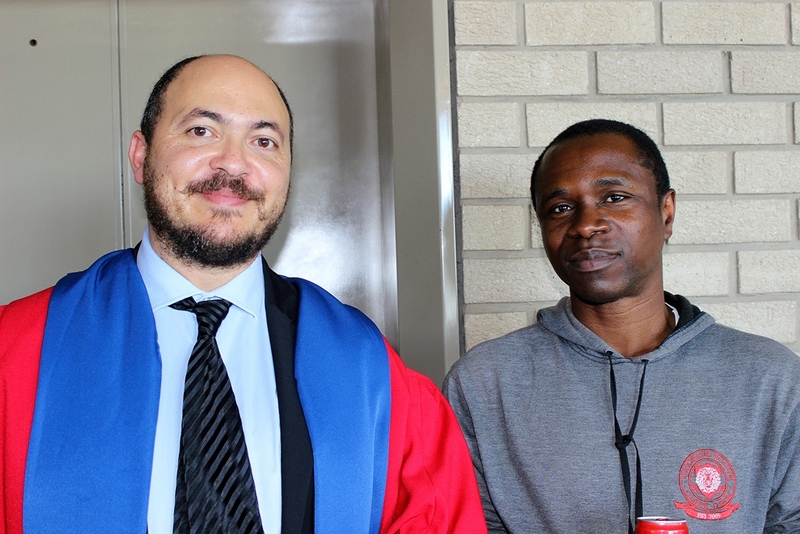 Dr Earl Prinsloo and Martin Ogunmolasuyi were there to congratulate their biotechnology colleagues. 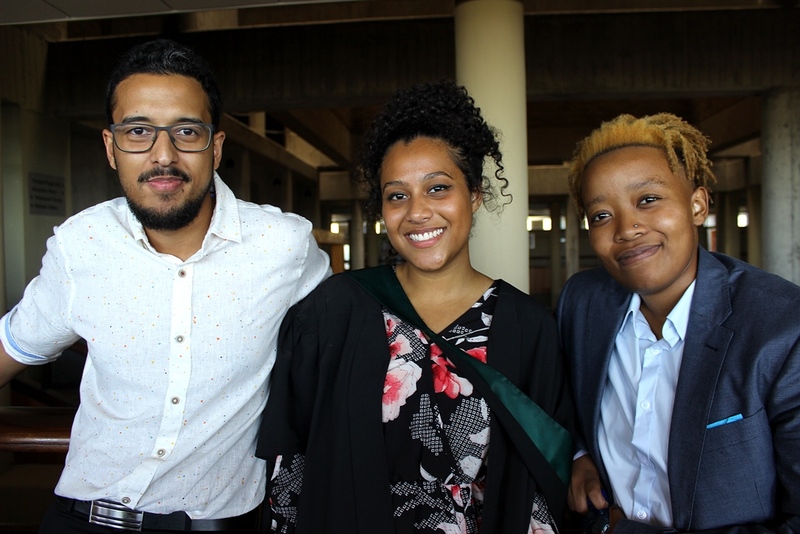 Ebrahim Jaffer, Zakirah Jaffer and Kanya Yako. 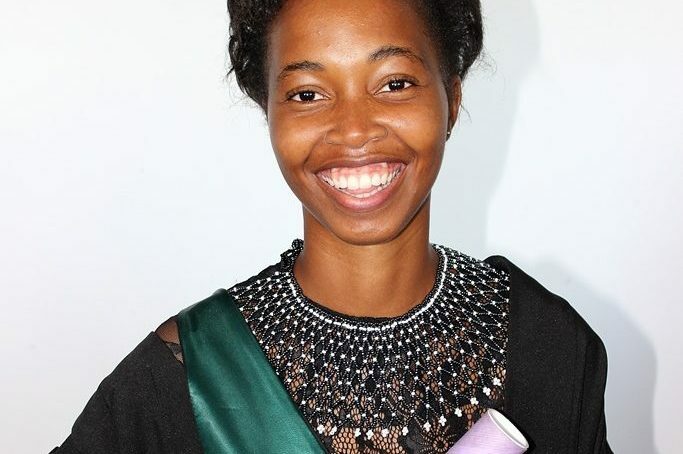 Andiswa Litye was awarded a BSc. Prof Adrienne Edkins and Natasha Boël who earned her PhD. 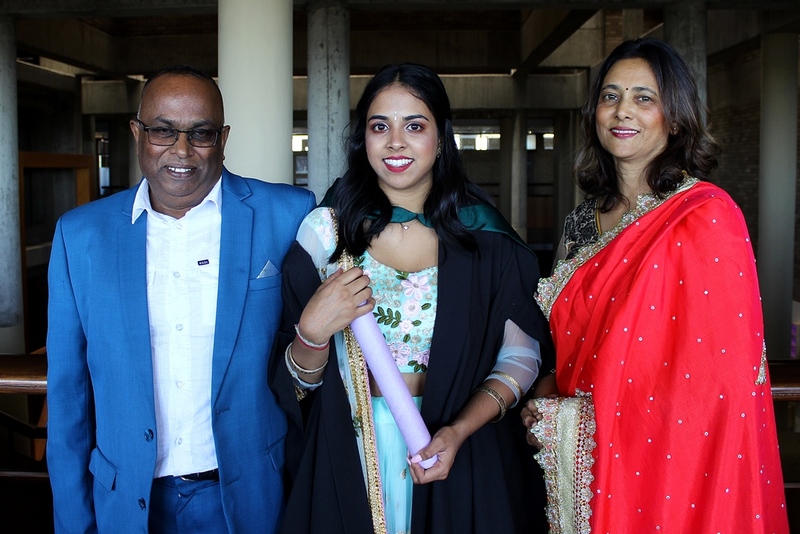 Roy and Rani Dhaver with their daughter Priyashini who received a BSc. 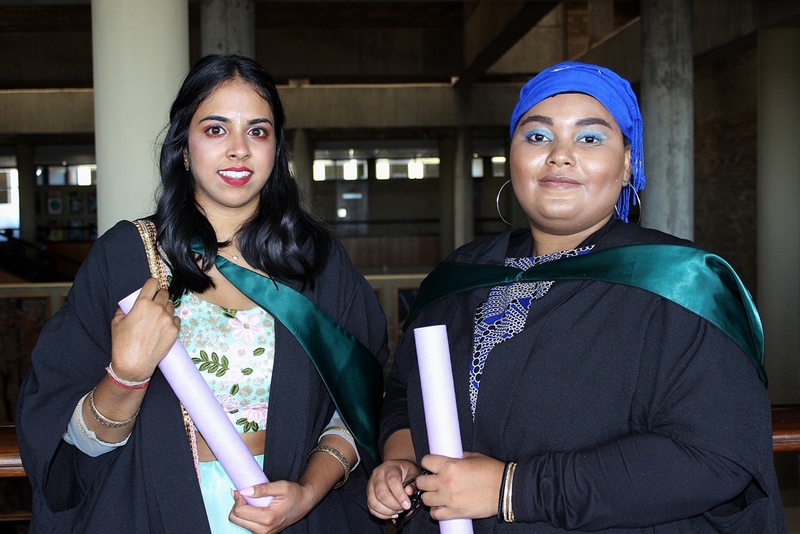 Priyashini Dhaver and Nabeelah Dudha both received BSc degrees. 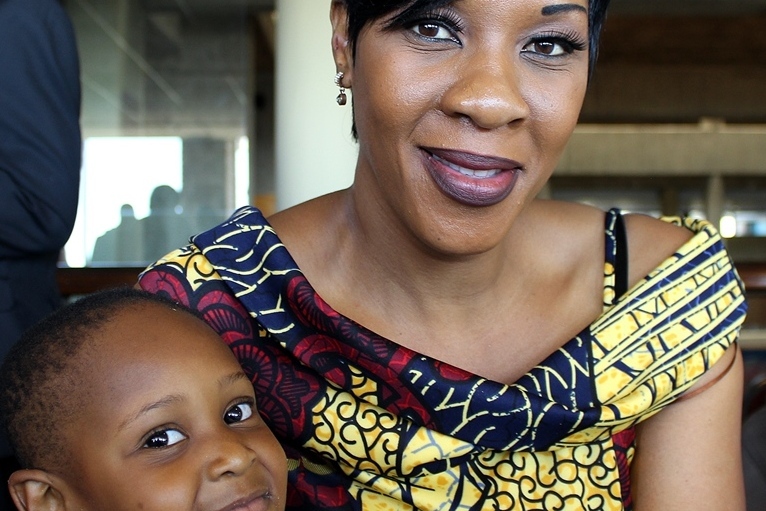 Thando Hashatsi knows who is going to graduate soon! 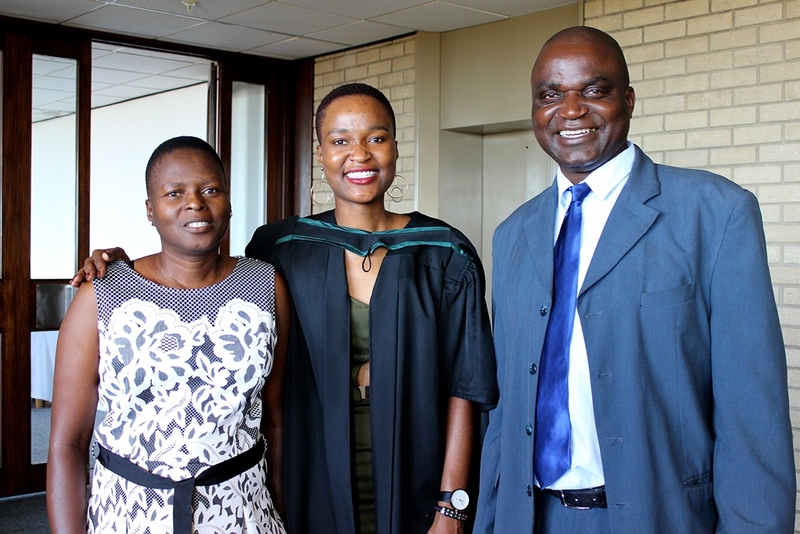 Rhodes University Biochemistry and Microbiology departments had a combined graduation function on Friday following the morning graduation session. 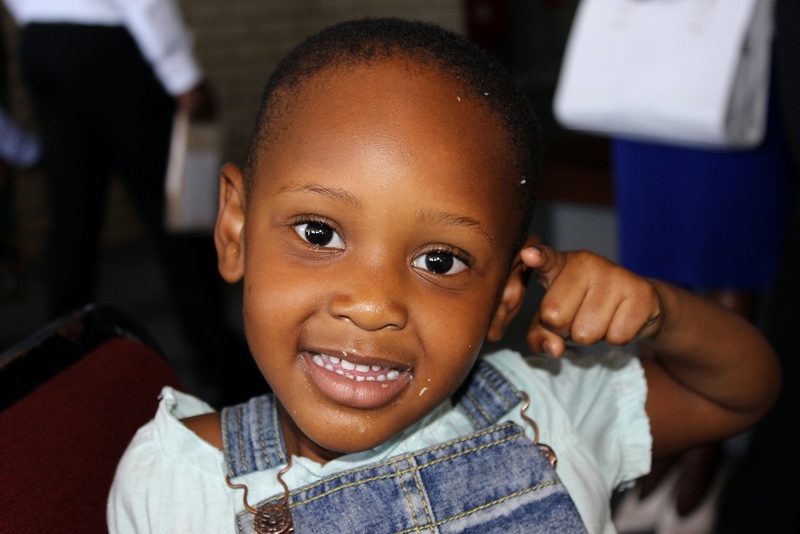 Steven Lang was there to capture the pride and the joy.